ProKid’s wife Ayanda Mkhize is “numbed” by the situation. It’s been a difficult week for the Mkhize family, but for the first time since Linda “ProKid” Mkhize’s death, his wife Ayanda has spoken out. Ayanda and Linda Mkhize’s marriage was rarely ever in the spotlight although it was common knowledge that the two spouses were raising a three-year old daughter. Exactly a week after the rapper passed away, Ayanda finally mustered the strength to speak out publicly for the first time. 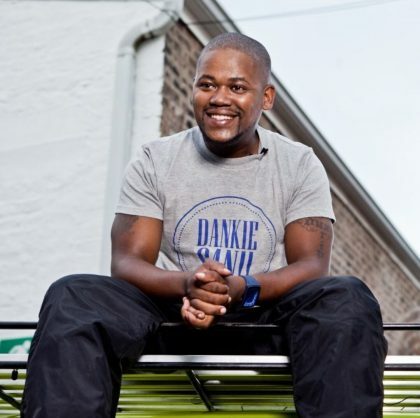 The news of Prokid’s death sent shockwaves around Mzansi, but the grief was marred by reports that the rapper had died in the bed of his mistress. Reports in this weekend’s Sunday Sun claimed that his wife and father had to collect his body from his girlfriend’s apartment in the CBD of Johannesburg. While nobody in the family has commented on this part of Mkhize’s story, Linda’s cousin, Nhlanhla Mohlauli, has revealed that the late rapper’s alleged mistress won’t be allowed to attend his funeral this coming Saturday. Linda Mkhize will be buried at the Westpark Cemetery in Johannesburg on Saturday the 18th of August. The rapper will be buried in the cemetery’s “Heroes’ Acre”, where local legends Robbie Malinga and Mandoza were also buried.